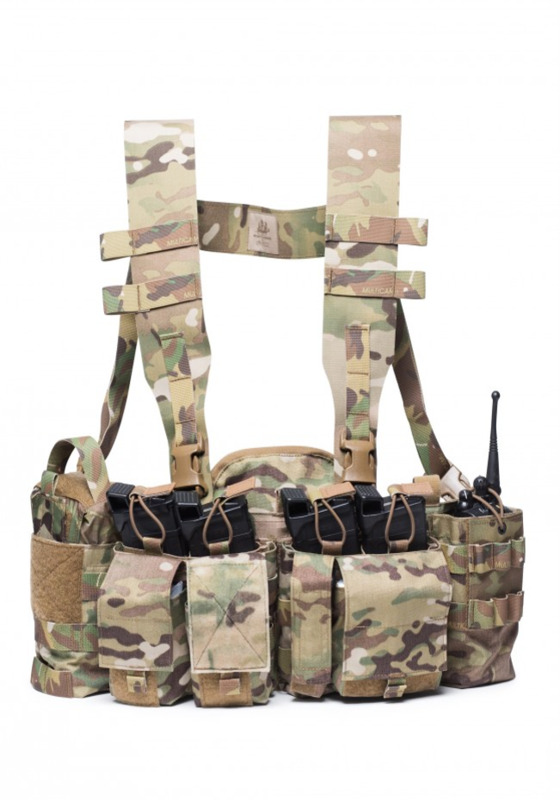 The Pusher Chest Rig (UW GEN VI) was designed as a no frills load carriage solution for individuals that had a very specific load out to carry but also had to be able to quickly switch weapon platforms. 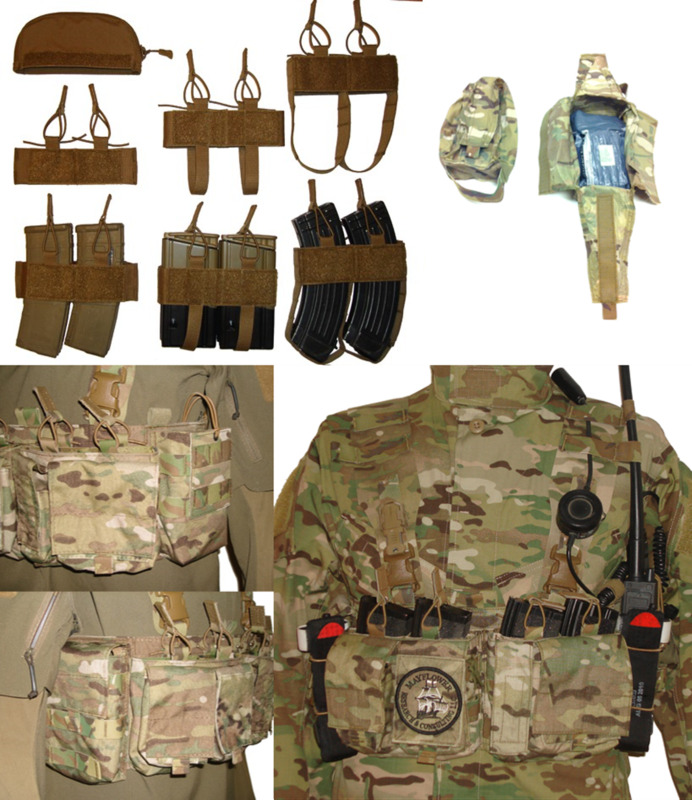 The Pusher was designed to carry the following: issue radio (PRC-152, PRC-148, Motorola, or others), four rifle magazines (M4, 7.62x51 or 7.62x39 utilizing different inserts), pistol magazine, med kit or SAT Antenna and a multitude of smaller items in the front four pouches. The body features an internal map pocket. 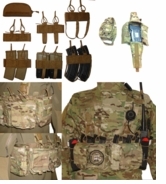 The shoulder straps are 3" wide to provide longer term comfort during extended mountain patrolling and are adjustable for height on the front of the straps. All buckles are ITW-Nexus and all materials and workmanship are 100% made in the USA. Shoulder Strap height is adjusted by removing the detachable female-end Swift Clip buckles and re-attaching to the webbing at desired height. Material: 500D Cordura body, Hypalon shoulder straps. 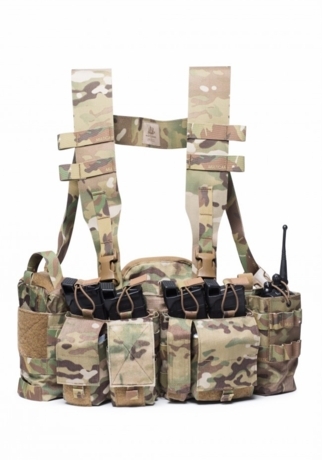 NOTE - Multicam-Tropic colors feature 500D Cordura Shoulder Straps. Magazines, radios, patches and medical bandages not included.